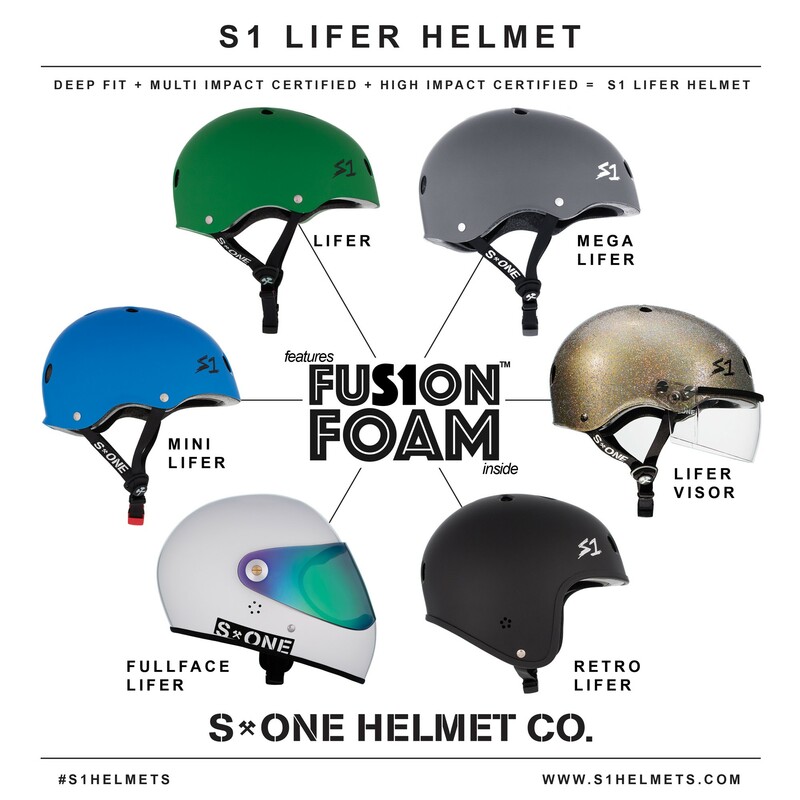 The S1 Lifer helmet combines a great fit with multiple impact and high impact certified protection featuring our patented blend of EPS Fusion Foam. The Lifer is available in 6 different variations to accommodate a wide variety of helmet needs. Whether you ride a skateboard, bike, scooter, long board, BMX, play roller derby, or roller skate the S1 Lifer helmet is the helmet for you. Click the shop button above to check out all the individual Lifer Helmet product pages in the the Lifer Family tree to find the perfect Lifer Helmet for you.